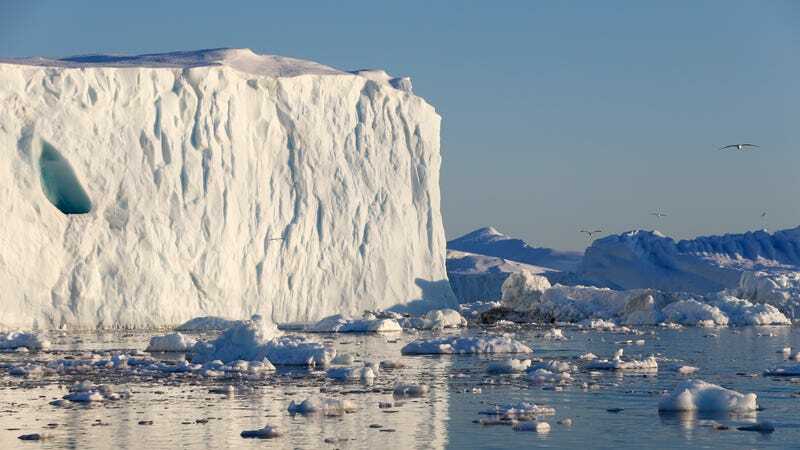 For the study, scientists from Denmark, the Czech Republic and elsewhere collected samples of “glacial surface debris” from five locations up and down the Greenland ice sheet between May and September 2013. They extracted bacterial DNA from the ice, and examined the sequences using metagenomics—an approach that allows you to look at the genes of potentially hundreds of different species at once. The researchers scanned their ice-hardy DNA brews for genes associated with the ability to degrade industrial pollutants, or to resist their toxic effects. They compared the results with DNA from healthy human gut bacteria, which were presumed to harbor no special resistance to environmental pollution. What’s not clear to anyone, yet, is how these microbes would respond to contaminants melting out from the ice due to climate warming—would they mobilize a resistance, snarfing down industrial toxins as they ooze away? Maybe. But until we do follow up studies, what we have is an interesting observation that poses more questions than answers. Until those answers are forthcoming, maybe pass on the snow cones next time you’re in Qaqortoq.